One of these following facts about Tanzania might probably give you much information about this country. 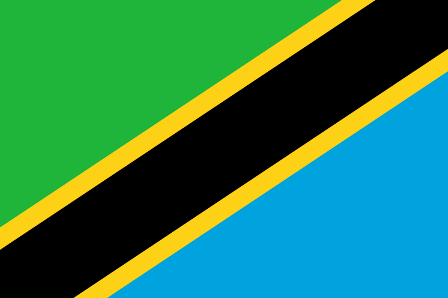 Tanzania, officially the United Republic of Tanzania is a country in East Africa in the African Great Lakes region. It is bordered by Kenya and Uganda to the north; Rwanda, Burundi and the Democratic Republic of the Congo to the west; and Zambi, Malawi and Mozambique to the south. The country’s eastern border is formed by the Indian Ocean. Kilimanjaro, Africa’s highest mountain, is in northeastern Tanzania. Tanzania is divided into 26 regions (mikoa), 21 on the mainland, 3 on Zanzibar Island and 2 on Pemba Island. These are further divided into 99 districts (wilaya)! That’s a lot of parts and pieces to divide a socialist country into. The stacks of paper must be huge. The indigenous populations of east Africa are thought to be the Hadza and Sandawe hunter-gatherers of Tanzania, who speak languages with clicks. The first wave of migration was by Southern Cushitic speakers, who are ancestral to the Iraqw, Gorowa, and Burunge and who moved south from Ethiopia into Tanzania. The people of Tanzania have been associated with the production of iron and steel. The Pare were the main producers of highly demanded iron for peoples who occupied the mountain regions of northeastern Tanzania. The Haya people on the western shores of Lake Victoria invented a type of high-heat blast furnace, which allowed them to forge carbon steel at temperatures exceeding 1,820 °C (3,310 °F) more than 1,500 years ago. The parliament of Tanzania consists of two parts: the president and National Assembly. The president and the members of the National Assembly are elected concurrently by direct popular vote for five-year terms. The vice-president is elected for a five-year term at the same time as the president and on the same ticket. Tanzania has a four-level judiciary. Appeal is from the Primary Courts (first level) to the District Courts (mainland), the Resident Magistrates’ Courts (mainland), or the Magistrates’ Courts (Zanzibar) (second level). From there, appeal is to the High Court of Mainland Tanzania or Zanzibar (third level) and finally to the Court of Appeal of Tanzania (fourth level). According to a March 2013 news report, there has been an increase in attacks on people with albinism, related to uses in witchcraft. At least four attacks occurred in 2013 between 31 January and 15 February, although it is believed that hundreds more attacks go unreported each year. Child labour is common in Tanzania with millions working. It is more common with girls rather than boys. Girls are commonly employed as domestic servants, sometimes by force. Poor children in particular are trafficked internally for commercial sexual exploitation. The literacy rate in Tanzania is estimated to be 73 percent. Education is compulsory for seven years, until children reach age 15, but most children do not attend school this long, and some do not attend at all. Hope you would find those Tanzania facts really interesting and useful for your additional reading.